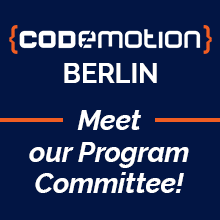 Would you like to know who is in charge of selecting the highest quality content that will be offered through more than 60 sessions at Codemotion Berlin 2018? Let us introduce to you an exceptional team that is responsible for the conference program. 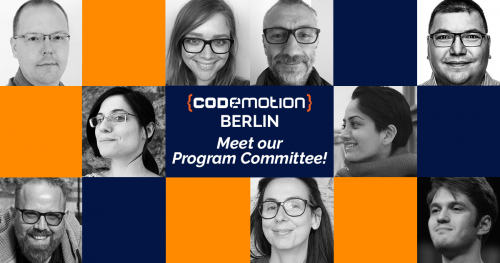 Meet the Program Committee of Codemotion Berlin 2018! Who are the members of the PC? All of them will be working really hard to choose the best possible speakers covering the hottest tech topics. We’re thrilled to have each and every member of the committee with us! Do you want to know more about them? Read their bios here. Make sure to join us on November 20-21!